How you negotiate a deal for a property can make the difference between saving a few thousand dollars and saving tens of thousands of dollars. 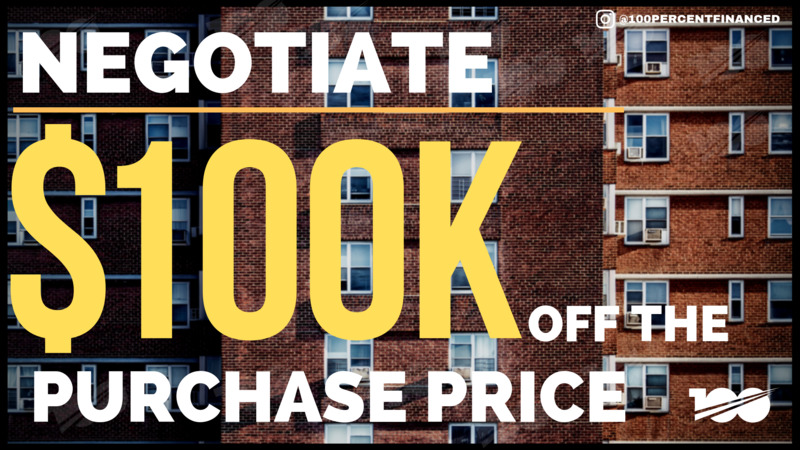 In this case, a properly negotiated deal helped save a hundred thousand dollars off the actual purchase price. Watch the video below as Juan Pablo explains how to properly negotiate the purchase price with the seller. Are you looking to purchase a property and need a way to submit the opening offer? We invite you to download our Letter of Intent (LOI) document to submit to the seller's real estate agent to make an initial offer and begin negotiations.